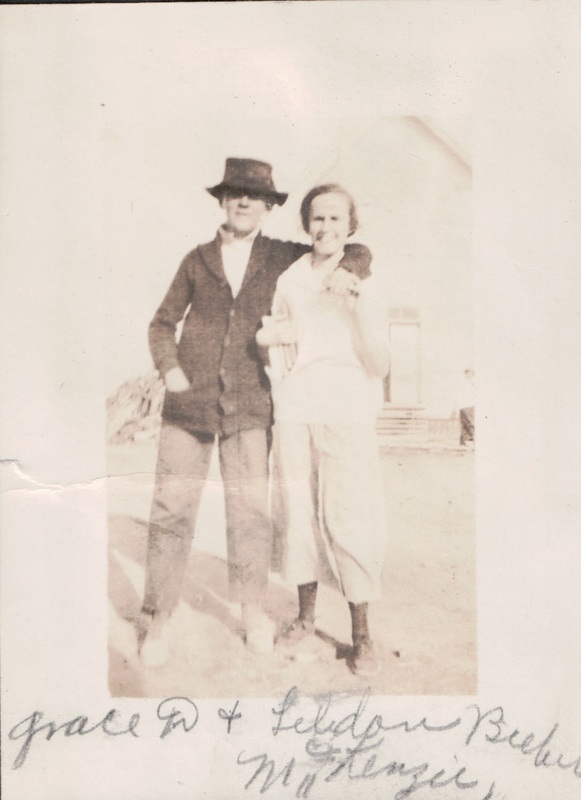 Today I would like to introduce you to the Leldon McKenzie and his friend (my aunt) Grace Durfee. Photo taken about 1917 (could have been 1918). Leldon was located living in Big Valley, Lassen County, California in the 1920 census. Son of Asa McKenzie.